* 3D eyes is more attractive. * Hooks are very sharp and strong. * High strength is difficult to fall off. 2.Be careful when you outdoor fishing, also be careful when you use the hook.All styles have 3-D lazerball eyes, lazer finish with hand painted detail. Laser body,it will be more attractive for big fish.Smooth and rapid diving action bright colors to attract big fish. Bright colors to attract big fish, 3D eyes make it a powerful catching tool.They create life-like swimming actions in water. 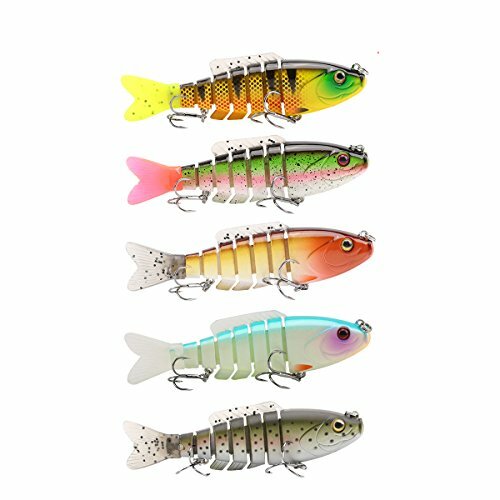 SeaKnight fishing sinking lures specially for pike and muskie, wonderful tool for fishing lovers.Designed to offer big action in a small bait. Delivers and enticing wobbling and rolling action. This premium fishing sinking fishing lures enhances casting distance and accuracy with four weighted balls inside body while center-shifted weight provides precisely balanced swimming action.